The marketing of a destination relies on planning, organization and the successful execution of strategies and tactics. Therefore, this authoritative book provides students and practitioners with relevant knowledge of tourism planning and destination marketing. The readers are equipped with a strong pedagogical base on the socio-economic, environmental and technological impacts on the attractiveness of tourist destinations. At the same time, this publication presents contemporary conceptual discussions as well as empirical studies on different aspects of the travel and tourism industries. The readers of this book will acquire a good understanding of the tourism marketing environment, destination marketing and branding, pricing of tourism products, tourism distribution channels, etourism, as well as on sustainable and responsible tourism practices, and among other topics. They will appreciate that the tourism marketers, including destination management organizations (DMOs) are increasingly using innovative tools, including; digital media and ubiquitous technologies to engage with prospective visitors. Hence, this book also sheds light on the latest industry developments in travel, tourism, hospitality and events. Chapter 1 introduces the readers to the tourism concept as it describes the travel facilitators and motivators. Afterwards, it explains several aspects of the tourism product, including; the visitors’ accessibility, accommodation, attractions, activities and amenities. 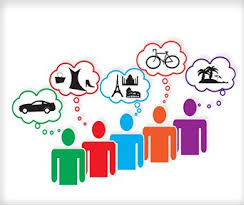 It categorizes different travel markets; including; adventure tourism, business tourism (including meetings, incentives, conferences and events), culinary tourism, cultural (or heritage) tourism, eco-tourism (or sustainable tourism), educational tourism, health (or medical tourism), religious tourism, rural tourism, seaside tourism, sports tourism, urban (or city) tourism, wine tourism, among other niche areas. Chapter 2 examines how foreign tourist intermediaries perceive Portugal as a tourist destination. It analyzes the promotional information that they use to attract visitors to this Southern European destination. This contribution recognizes that the tour operators have an important role in intermediating the relationship between the tourists and the tourism service providers. The authors suggest that tourism relies on the destination’s image that is often being portrayed by the foreign tourism intermediaries. Chapter 3 explores the cruising consumers’ behaviors and their decision-making processes. The authors maintain that the destination, the social life on board as well as the cruise features are very important factors for consumer loyalty. In conclusion, they recommend that cruise lines should create synergies with local institutions in tourist destinations. Chapter 4 investigates the Spanish inhabitants’ opinions on the tourism industry’s seasonality issues. The findings suggest that the local residents who live in the coastal destinations were in favor of having tourism activity throughout the year; as opposed to other host communities from urban and rural destinations (in Spain) who indicated that they would enjoy a break from tourist activity during the low / off peak seasons. Chapter 5 provides a critical review about the pricing and revenue management strategies that are increasingly being adopted within the tourism and hospitality contexts. The authors introduce the readers to the concept of “rate fencing”. This proposition suggests that businesses ought to differentiate among various customer segments, as they should attract and develop relationships with the most profitable ones. Chapter 6 appraises the use of qualitative reviews and quantitative ratings in interactive media. The authors also engage in a discussion on the content analysis of the online users’ generated content (UGC). They posit that it is in the interest of tourism and hospitality businesses to respond to positive and negative word of mouth publicity in reasonable time, as they may have to deal with fake and unverified reviews. Chapter 7 clarifies how online travel businesses, including; AirTickets, AirBnB and TripAdvisor among others, are continuously investing in their communication technologies and infrastructures to improve their online users’ experience. The author contends that innovative technologies, such as recommender systems and control frameworks are supporting the travel businesses’ in their customer-centric approaches. 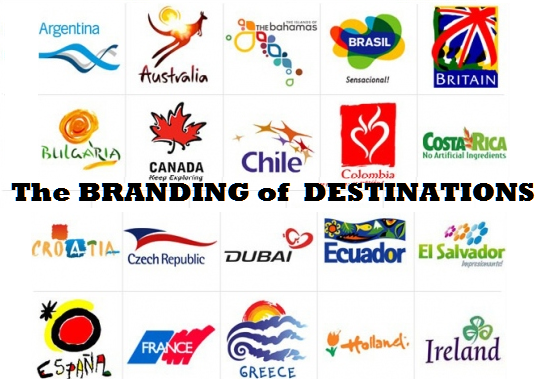 Chapter 8 discusses about the concept of the brand identity of destinations from the suppliers’ perspective. The author puts forward a case study on the city of Porto, in Portugal. She explicates how this tourist destination has used an authenticity-based approach to leverage itself as a distinct brand identity among other destinations. Chapter 9 proposes an ambitious plan to attract visitors to Buxton, Derbyshire. Firstly, the authors focus on the marketing endeavors of a local renovated hotel. Secondly, they provide relevant examples of how other wellness and spa towns in Britain, including; Bath and Harrogate are organizing events and festivals to attract international tourists throughout the year. 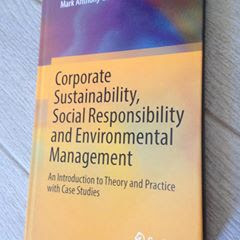 Chapter 10 explains how a perceived (positive) image can provide a sustainable competitive advantage to tourism destinations. The authors argue that the historical events as well as other socio-political factors can possibly affect the visitors’ (pre-)conceptions of the Gallipoli peninsula in Turkey. However, they imply that the tourists’ positive experiences could translate to positive publicity for this destination. Chapter 11 elucidates the notion of destination branding in the rural context. The author maintains that there are both opportunities and challenges for tourism policy makers to preserve the traditional farms and rural dwellings, in order to safeguard their distinct identity. He posits that the rural environment can add value to the tourist destinations and their branding. 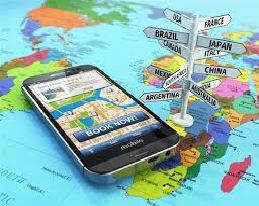 Chapter 12 posits that today’s tour operators are highly driven by technology as prospective travelers are searching for online information about their destinations prior to their visits. The authors describe the digital marketing strategies and tactics that are used to promote Malawi, in Africa. 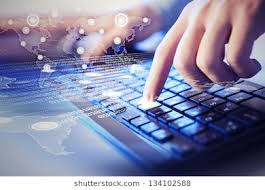 They suggest that the inbound tour operators are increasingly using relevant content marketing through interactive technologies and social media to engage with prospective visitors. Chapter 13 evaluates potential strategies that could be used to develop the tourism product in Adiyaman, Turkey. The authors identify the core responsibilities of the tourism stakeholders and put forward their key recommendations for the branding of this rural destination. In sum, this authoritative publication is written in an engaging style that entices the curiosity of prospective readers. It explains all the theory in a simple and straightforward manner. This book reports on the global tourism marketing environments that comprise a wide array of economic, socio-cultural and environmental issues. It explains how technological advances have brought significant changes to the tourism industry and its marketing mix. This book was written by academics for other scholars, researchers, advanced under-graduate and post-graduate students; as it provides a thorough literature review on different tourism topics, including; destination marketing and branding, sustainable and responsible tourism, tourism technologies, digital marketing, travel distribution and more. It is also relevant to the industry practitioners, including consultants, senior executives and managers who work for destination management organizations, tourism offices, hotels, inbound / outbound tour operators and travel agents, among others.